On 12 October 2016, the Law Reform Commission (“LRC“) released its Final Report on Third Party Funding for Arbitration (the “Final Report”) recommending that the Hong Kong Arbitration Ordinance (Cap. 609) be amended to provide that the common law doctrines of maintenance and champerty do not apply to third party funding of arbitration and associated proceedings under the Arbitration Ordinance (namely emergency arbitrator proceedings, mediation and court proceedings). The Final Report was published following a study by the LRC’s Third Party Funding for Arbitration Sub-committee (the “Sub-committee”) established in June 2013* of the relevant law in Hong Kong and in the main arbitration centres of the world. The results of the Sub-committee’s study were summarised in the Sub-committee’s consultation paper published in October 2015 (the “Consultation Paper”). The Consultation Paper made preliminary recommendations for reform of the law and invited public comment. As outlined below, 73 responses to it were received from members of the public which were overwhelmingly supportive of the preliminary recommendations. These were taken into account in formulating the final recommendations in the Final Report published in October 2016. In the Final Report concluded that the reform of Hong Kong law is needed to make it clear that third party funding of arbitration and associated proceedings under the Arbitration Ordinance is permitted under Hong Kong law, provided that appropriate financial and ethical safeguards are complied with. They considered that such reform would be in the interests of the arbitration users and the Hong Kong public and consistent with the relevant principles that the Court of Final Appeal has formulated. 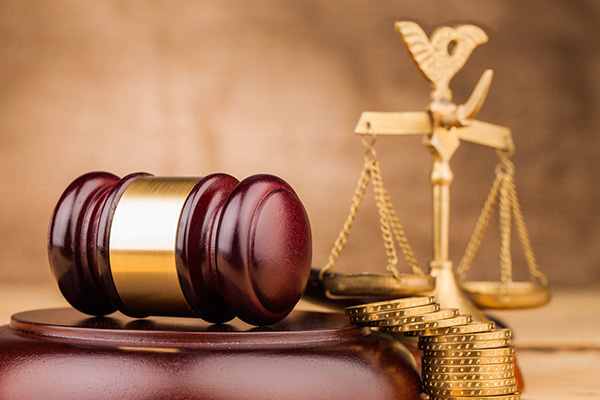 The LRC also considered that a party with a good case in law should not be deprived of the financial support it needs to pursue that case by arbitration and associated proceedings under the Arbitration Ordinance. Compliance with the ethical and financial safeguards set out in the Final Report by third party funders of arbitration with the monitoring, supervision and review framework that the LRC proposed, will protect against potential abuse. Finally the LRC considered that these reforms are necessary to enhance Hong Kong’s competitive position as an international arbitration centre and to avoid Hong Kong being overtaken by its competitors. (iii) in return for a share of the proceeds from the arbitration if it is successful as defined in the funding agreement. Thus it involves a “third person” to the arbitration providing financial “assistance or support to a party to” the arbitration (or other proceedings). The third party funder will be compensated only from the funded party’s net recoveries from the proceedings (after deduction of agreed costs and expenses). A funded party will not have to pay any amount to the third party funder if the proceedings are unsuccessful. As summarised in the Consultation Paper, third party funding of arbitration is currently permitted in all but one of the world’s major arbitration centres. The remaining centre (Singapore) announced in June 2016 that it intends to amend its law to permit it and introduced legislation to do so in October 2016. The Sub-committee’s work included reviewing the application of the ancient (700 year old) legal principles of maintenance and champerty to funding of arbitration. (iii) in miscellaneous recognised categories of proceedings including insolvency proceedings (for some years third party funding of insolvency has been regularly sanctioned by the Hong Kong Courts). Responses to the October 2015 Consultation Paper were received from 73 various interested parties during the consultation period, which included responses from accounting firms, arbitral institutions, arbitrators, barristers, chambers of commerce, consumer and public interest groups, the financial sector, government bureaux and departments, third party funders, insurers and insurers’ associations, and law firms. The public’s response to the four preliminary recommendations made in the October 2015 Consultation Paper was overwhelmingly supportive, as may be seen from paragraphs 2.2 at pp. 13–14 of the Final Report, and in the more detailed discussion of the public response that follows. As outlined in the introduction, the LRC recommended that the Arbitration Ordinance be amended to provide that the common law doctrines of maintenance and champerty not apply to third party funding of arbitration and associated proceedings under the Arbitration Ordinance. 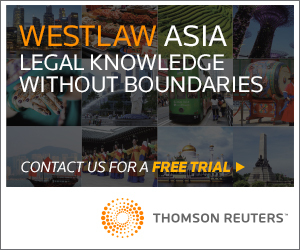 Among other things, the LRC recommended that the proposed amendments of the law should also apply to the funding of services provided in Hong Kong for arbitrations taking place outside Hong Kong. However, third party funding provided either directly or indirectly by a person practising law or providing legal services should not be permitted to avoid conflicts of interest by lawyers in serving their clients. The LRC also recommended that appropriate standards should apply to the provision of third party funding in Hong Kong, proposing the adoption of a “light touch” regulatory approach for an initial period of three years. Third party funders funding arbitration in Hong Kong should comply with a Code of Practice (the “Code”) to be issued by a body authorised under the Arbitration Ordinance after public consultation setting out the standards (including ethical and financial) that they should comply with. The LRC recommended that the Advisory Committee on the Promotion of Arbitration should be nominated by the Secretary for Justice to be the Advisory Body under the Arbitration Ordinance to monitor the conduct of third party funding for arbitration and the implementation of the Code, and to liaise with stakeholders. The Advisory Body should issue a report reviewing the Code’s operation three years after it has come into effect, and make recommendations as to the updating of the ethical and financial standards contained in it. The Final Report includes in its Appendix 1 a set of draft proposed amendments to the Arbitration Ordinance to implement the LRC’s Recommendations in the Final Report. The LRC also recommended that consideration be given as to whether the non-application of the common law principles of maintenance and champerty should be extended to mediation within the scope of the Mediation Ordinance (Cap. 620). If the law is revised as the LRC recommends, lawyers will likely need to advise their clients of the possible option of seeking third party funding for arbitration and related proceedings. 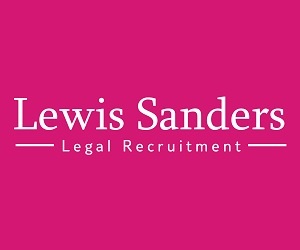 Among the LRC’s recommendations is that the professional conduct rules applicable to barristers, solicitors, and foreign registered lawyers should be amended to expressly state the terms and conditions upon which such lawyers may represent parties in Arbitrations and related court proceedings funded by third party funders. It will be important for lawyers to review these and comply with them. 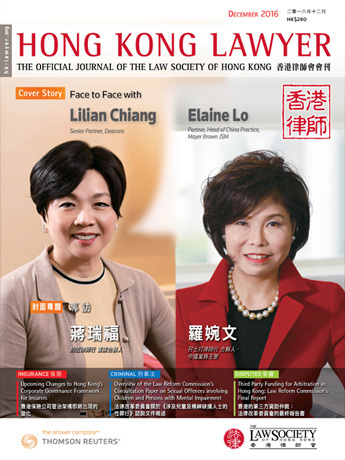 On 22 November 2016, the Department of Justice (“DoJ“) submitted to the Panel on Administration of Justice and Legal Services of the Hong Kong Legislative Council (the “AJLS Panel”) a paper setting out the approach to implementation and response to the Recommendations in the Final Report (the “DoJ’s Paper”) and attaching a draft Code of Practice for Arbitration at Annex B. The DoJ’s Paper states that, following the publication of the Final Report, the DoJ has consulted the legal and arbitration professional bodies, as well as the Steering Committee on Mediation, on the Final Report’s recommendations. The DoJ Paper observes that the organisations which have responded have indicated support, including support by the Steering Committee on Mediation for the proposed consequential amendments to the Mediation Ordinance. 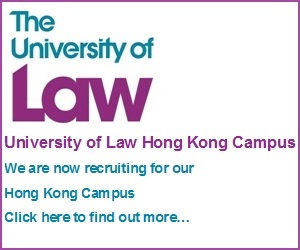 The Government takes the preliminary view that, from the perspective of promoting Hong Kong’s arbitration services, the proposed law reform is desirable, so that Hong Kong, as one of the leading centres for international legal and dispute resolution services in the Asia Pacific region, can keep up with the latest practice in international arbitration and hence enhance its competitive position. The DoJ’s Paper refers to the consultation process involved for the draft Code of Practice. It states also that a draft Code in relation to third party funding for mediation will be drawn up for consultation with relevant stakeholders. The DoJ’s Paper states, among other things, that the Government proposes to introduce legislative amendments to the Arbitration Ordinance and the Mediation Ordinance to ensure that third party funding of arbitration and associated proceedings is not prohibited by the common law doctrines of maintenance and champerty; and to provide for related measures and safeguards based on the Final Report. As to the way forward, the DoJ’s Paper states that, subject to the comments of the members of the AJLS Panel, the Government intends to implement its legislative proposals by introducing an amendment bill into the Legislative Council in early 2017. In the event the Arbitration Ordinance is amended, as foreshadowed, it will be clear that under Hong Kong law third party funding of arbitration and related proceedings under the Arbitration Ordinance is permitted, with appropriate measures and safeguards in place. This should serve arbitration users, support Hong Kong’s role as a leading international arbitration and dispute resolution centre and enhance Hong Kong’s competitive position. * The members of the Subcommittee consisted of Ms Kim M Rooney (Chair) Barrister, Ms. Teresa Y W Cheng, SC, Senior Counsel, Mr. Justin D’Agostino Global Head of Practice – Dispute Resolution., Herbert Smith Freehills. Mr. Victor Dawes, SC Senior Counsel, Mr. Jason Karas, Principal Lipman Karas and Mr. Robert Y H Pang, SC Senior Counsel.